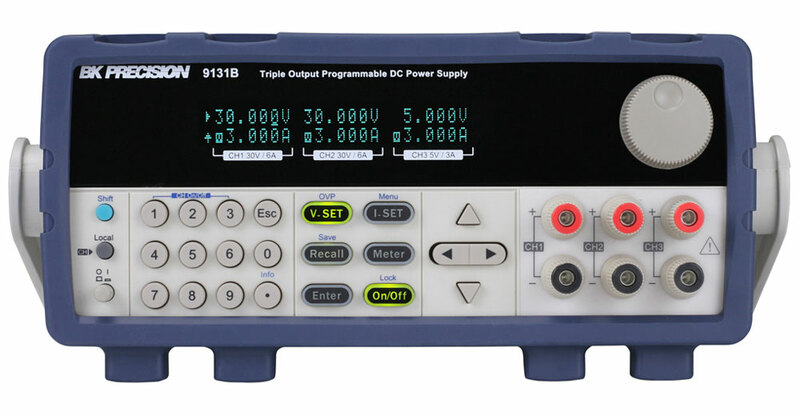 The 9130B Series triple output linear programmable DC power supplies feature isolated outputs that can be adjusted independently or combined in series or parallel to output higher voltage or current. Additionally, these supplies can operate in tracking mode with user-configurable ratios between channels. 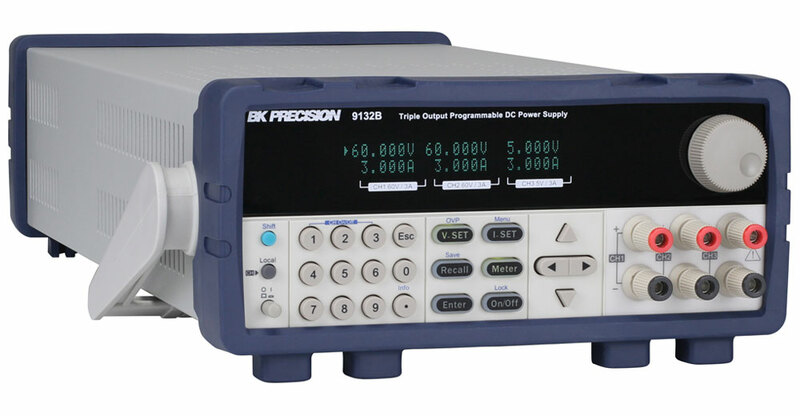 The front panel keys and rotary knob with convenient cursors let users quickly set voltage and current values. 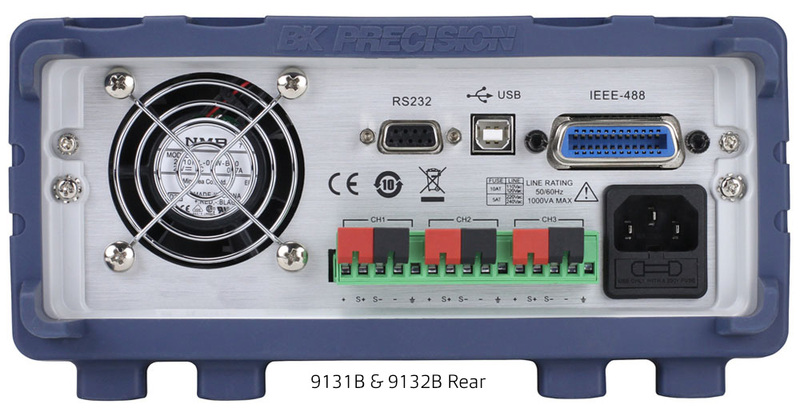 For remote control, the standard USB (USBTMC-compliant), RS232, and GPIB interfaces supporting SCPI commands can be used to remotely control the power supplies via a PC. 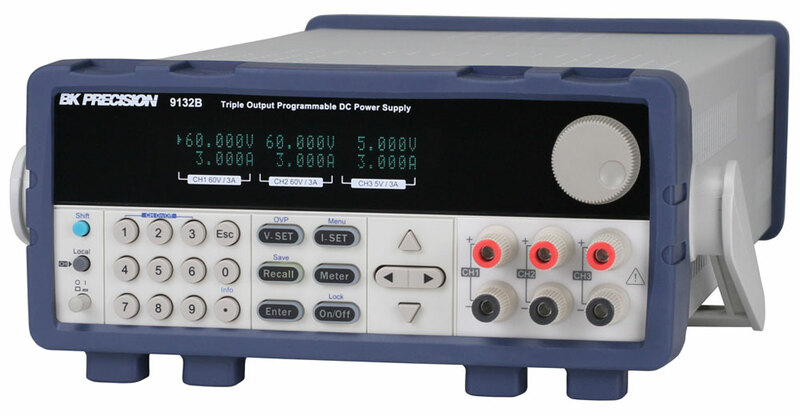 Model CC545 General Purpose Power Supply Accessory Kit provides most everything one needs to put their bench power supply to work. The kit includes 3 high capacity test leads with retractile sleeve plugs. Rated at 600 V CAT II and 36 Amps, the leads provide save connection to either standard or sheathed jacks while its silicone jacket wire stays flexible under all conditions. For day to day connections, included are 4/6mm spade lug adapters along with 4mm banana plug adapters. Unique to the kit are 3 extra-large alligator clips which offer a wide range of connection capabilities. Fully insulated 1,000V CAT III or 600V CAT IV, the clips are capable of attaching to leads as small as 0.01" or lugs to a diameter of 1.25" all while carrying currents up to 36A. All components are supplied in black, red and green for easy identification. Also included is a BNC female to double banana plug adapter, BNC male to double binding post adapter and a BNC male cable assembly for powering those RF testing applications.